CONTACT Bruce Riley Ashford, Jr.
Dr. Ashford is on Sabbatical for all of 2019. The acting Provost is Dr. Keith Whitfield. Dr. Ashford has been teaching at Southeastern since 2003 and became the provost in 2013. His goal in teaching is to encourage his students to bear witness to the truth, goodness and beauty of the gospel and to work out its implications in all facets of their lives and in all dimensions of culture. 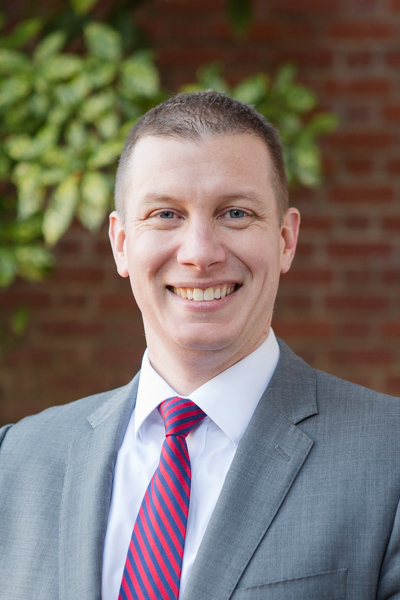 Ashford defended his dissertation on “Ludwig Wittgenstein’s Impact on Anglo-American Theology,” is the co-author of One Nation under God: A Christian Hope for American Politics (B&H, 2015), the author Every Square Inch: An Introduction to Cultural Engagement for Christians (Lexham, 2015), and is the editor of Theology and Practice of Mission (B&H, 2011). His primary interest is public theology; his secondary interests include philosophy of education, theology of mission, theological method, and contemporary theology. He is married to Lauren, with whom he has two daughters (Riley Noelle, Anna Katherine) and a son (John Paul Kuyper). He is an elder at The Summit Church (Raleigh-Durham, NC).